We have professionals on staff that can speak Spanish, that would be able to assist you. Our courteous staff is always available and ready to serve you. Click here to contact us. Garry's Flooring & Hometown Furnishings wants to keep in touch with our customers and friends. Meet us on: YouTube, Facebook, to learn more about us. Working with Garry's was much more personal than big box stores, Garry's made sure to work with me on what I wanted and within my budget. I believe Garrys's gave me the most for my money! I will definitely see you in the future for the rest of my flooring needs and you will be highly recommended to friends and family. Could not ask for better service, helpful when we selected the carpets. Come to install exactly when they said. Did excellent job installing and everything neat and tidy when they left. I was very pleased with the whole process from start to finish - the job was done perfectly and I was quite satisfied. Clean up was done very nicely - will recommend Garrys Flooring and reuse them in the future. "I really liked Garry’s professional attitude and his guarantees—especially the 100% Iron-Clad Guarantee. The carpets look great and also appreciated the variety of options presented and flexibility of all services. Thank you!" "I really appreciate your knowledge about floor covering. You are very professional and take great care to make sure your customer is happy. And I can’t believe how great the floors look. Thanks!" "The last time I had carpets installed the experience was terrible. The installers didn’t show up (after we had moved all the furniture), and it took three more days before they finally did the work. They left a terrible mess, and when one of the seams came apart it took the store six weeks to fix it. Garry’s Flooring was like a breath of fresh air! They were polite, they gave us good recommendations, and the installers showed up on time. Afterwards, they even vacuumed the whole house! And the "Design Audit" really helped us narrow down our choices of carpet. Thank you! We’re referring everybody to you!" Dear Garry and Staff, I wanted to say thank you for your thoughtful gift we will certainly enjoy. Thank you for your exceptional service and very fine work. "I really liked the service, especially the ‘Design Audit’ you did. Picking the right floor can be really confusing and the ‘Audit’ really helped. I felt like you really cared and took the time to meet my needs. Your referral program is a nice touch." "Better Quality and price than the BIG BOX STORES! Friendly courteous service will bring me back for repeat business and I will gladly recommend Garry’s Ultimate Flooring to family & friends. So glad to be able to shop locally, finally. A special thanks for changing my installation time for my convenience at the last minute. Great Job! Thanks"
Garry was recommnded by our daughter. He came when he said he would on time. He helped choose what went with our furniture. We were very impressed. We got the carpet plus the tile look congoleum on the hallway and path. Neighbors, family and friends said the carpet we had made our furniture look so much nicer. He was fast and very efficient, cleaned and vacuum all the remnants up. The company we had at our other house kept stalling, but Garrys was prompt and did what they said they would do. I would like to take this opportunity to thank you for participating in our car show by sponsoring a trophy and donating the banners. It is because of people like you that our car show was so successful. A note to say Thank you for your excellent service and very fine work. My wife and I could not be more pleased the professional job done installing our new wood floors. They are beautiful! This was a wonderful experience from start to finish. From the knowledgable staff to the installaion. Thanks so much for the wonderful job you did in our new office. 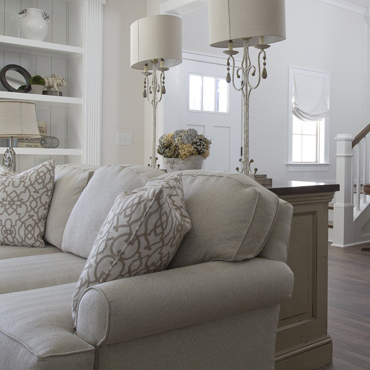 The extra touches you did with the binding and "baseboard" treatment are much appreciated. We are so pleased with your efforts! 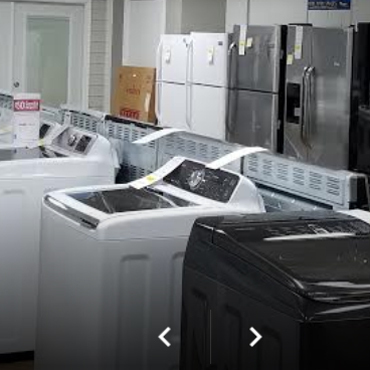 We Carry Whirlpool, Amana, Kitchenaid and Maytag appliances. FREE Flooring Measures and Quotes! Amazing Friendly Staff! All In House Installers! 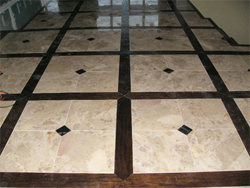 Flooring- Carpet, Carpet Tile, Carpet Binding, Ceramic Tile, Wall Tile, L.V.T., L.V.P., Vinyl, Hardwood, Engineered Wood. we have all these in all different style and looks! You got to come in and see our amazing selection! In our Belvidere locations we even have Appliances- Fridge, Stoves, Microwaves, Dishwashers, Washers, and Dryers! We carry all of these in Kitchen Aid, Whirlpool, Maytag, Samsung, Amana, and Frigidaire! Also carry Ashley and Serta Furniture! We dont stop there we also carry Symbol and Serta Mattresses!